South Korean battery maker Samsung SDI is raising its focus on its small-sized lithium ion battery business, as the category has returned to the mainstream of cordless power tools and household devices popular today. Samsung SDI’s small-sized battery business is projected to bring in more than 400 billion won ($357 million) in operating profit this year, riding on strong global demand for cylindrical batteries, according to projections by local securities firms including Mirae Asset Daewoo. Cylindrical batteries are one of two types of small-sized lithium-ion batteries, together with polymer batteries. Cylindrical batteries are used to power products such as industrial tools and cordless vacuums, while polymer batteries power IT devices like PCs, smartphones and laptops. 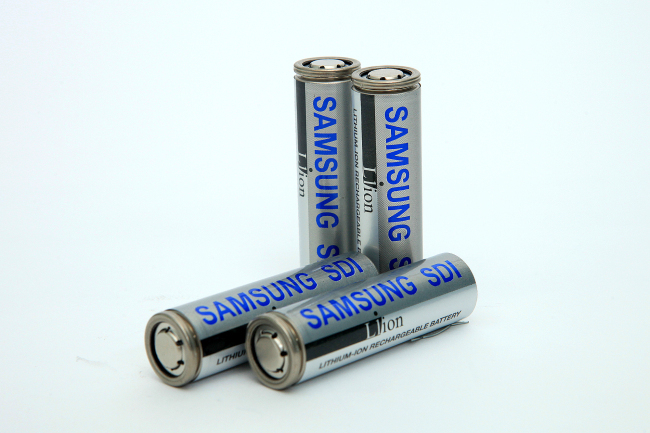 Samsung SDI focuses primarily on producing cylindrical batteries, which make up around 50 percent of the firm’s small-sized lithium ion battery business. And it’s an optimal time to be in this business, the firm said. According to B3 Corp., global demand for small-sized lithium-ion batteries grew from 4.7 billion units in 2014 to 6.9 billion units in 2017, with the figure is projected to surpass 7.9 billion in 2018. Eyeing the opportunities, Samsung SDI is moving to increase investment into building new infrastructures. The company is planning to issue new bonds worth 400 billion won next month to secure new capital for its battery business. It is also looking to expand its small-sized lithium ion business workforce this year, with plans to channel many new recruits into the division, a company official said.